Below, is the email I sent to Lincolnshire Road Safety Partnership based on residents’ concerns about the traffic calming build out on Wygate Park, between Mariette Way and the Hayfields. Below this, is the response I have just received back from one of their highways engineers . Sometime ago you were kind enough to review the safety of a traffic calming build out located on Wygate Park. On that occasion the build out, at the Monks House Lane end of the link road known as Wygate Park, was considered to be safe – a decision I agree with. Unfortunately, local drivers have recently raised concerns with me regarding the build out located at the other end of Wygate Park, between Mariette Way and The Hayfields. My position on this build out and indeed all of the build outs, has always been the same; it’s not the build outs that are at fault, it’s the attitude of the drivers using the road. 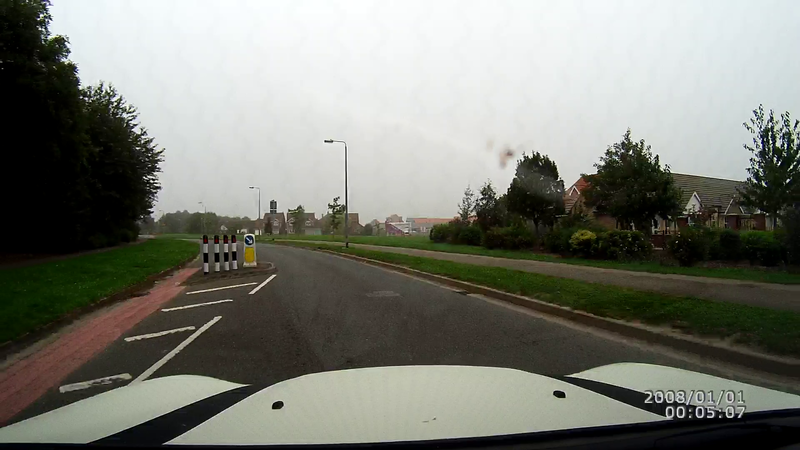 Having done some research myself, using an in car safety camera, the build out referred to appears to be at the optimum position, as it requires drivers to be travelling at a slow speed that would allow them to stop safely at the give way line, should they see a vehicle approaching from the other direction. Despite posting a number of images on my blog, these residents still see this build out as dangerous and claim that it is only a matter of time before there’s a head on collision. To the best of my knowledge, there have been no RTCs, or injuries associated with this section of road, but their view remains the same. Obviously, as the local district councillor, I feel duty bound to do my best to address the concerns of residents, even when I don’t agree with them. Therefore, can you please advise me on the design philosophy behind this particular build out and its specific location on Wygate Park. Assuming it has not been done recently, would it be possible for one of your officers to take a look at this build out, in action so to speak, to see if there is something needed in addition to the existing signage, in order to get drivers to negotiate it in a safer manner than many do currently. Thank you for your assistance. Thank you for your correspondence regarding the resident’s safety concerns at the build-out on Wygate Park. I have spoken to a colleague within Highways Division South who oversees this area and, although I have not actually managed to visit the site as yet, I have taken a look at the location on Google Maps Streetview (images from 2009). We are both of a similar opinion to yourself. The build-out seems to be more than adequately visible, with the appropriate signing and road markings. There is good forward visibility through the feature as well, so that oncoming traffic has more than enough time to adjust their speed accordingly. I have queried our accident database which has records of personal injury accidents dated back to 1985 and is correct to 31/07/2013. Within the proximity of this feature there has not been any injury accidents recorded; with the nearest injury occurring at The Hayfields junction. From our stance, I would suggest that there is nothing wrong with the road design at this point and in light of recent directives from the Department of Transport to reduce sign “clutter” that any additional signing or markings would not be advised. If the problem persists and is down to driver behaviour where they may not be adhering to the give way control then I would suggest that there could be a possible enforcement issue for the local Police. I am sorry I cannot help you further, but unfortunately you have assessed the situation very similarly to myself and without drastic measures to force drivers to comply there is not a great deal we could proposed without “over engineering” which would be less desirable for all. Please do not hesitate to contact me should you need to discuss this further.